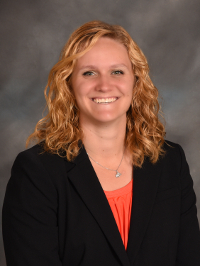 Kaley Hodgen Receives CPA Designation | Contryman Associates, P. C.
Hodgen holds a Bachelor of Science degree in Business Administration, with an accounting emphasis, and a Master of Business Administration, accounting track, from University of Nebraska Kearney. Hodgen has experience with individual, corporate, partnership, trust, and estate tax preparation and planning. She began her career with Contryman Associates in an internship capacity in 2014 while attending UNK, then full-time in 2016 upon completing college. Kaley is the daughter of Linda Hodgen of Hastings and Scott Hodgen of Lincoln, Nebraska. Contryman Associates, P.C., Certified Public Accountants, has provided accounting, tax, audit and business consulting services in Nebraska since 1939 with offices in Grand Island, Hastings, Kearney, Lexington, Scottsbluff, Central City, and Geneva. The firm is a member of CPAmerica International, one of the largest accounting associations in the world.